You want to stop wasting money and energy on lights being on when they don’t need to be. Lighting controls will help with that but you also need to keep your people happy, comfortable and productive, because productivity is far more valuable a commodity than energy. Delta Controls’ lighting controllers are the solution. These fully programmable controllers provide the means to control any switched or dimming needs you can dream up. Your interface could be something as simple as a keypad display, to a custom graphical front end on a PC, to a full web server solution allowing users to control their own zones changing needs. Being able to tie into your building management system, you can get the most out of it by programming your site as a whole rather than its separate parts. Drive occupancy from your Access system and tie it to not only your Lighting, but your HVAC setpoints as well. Adjust room schedules in one place making sure your building is synchronized and efficient. The Delta Controls Lighting System offers full featured control of lighting loads. With a selection of product sized to handle from small to large numbers of lighting channels, the product can fit the application rather than the reverse. Built in logging is part of every controller. It allows for keeping track of burn hours per relay channel for scheduled relamping to maintain design lumen output. Operators can review how the system was operating at a given time. Building owners can track energy savings provided by control strategies. Lighting Systems (DLS) - are capable of operating in a stand-alone manner or part of large lighting systems. 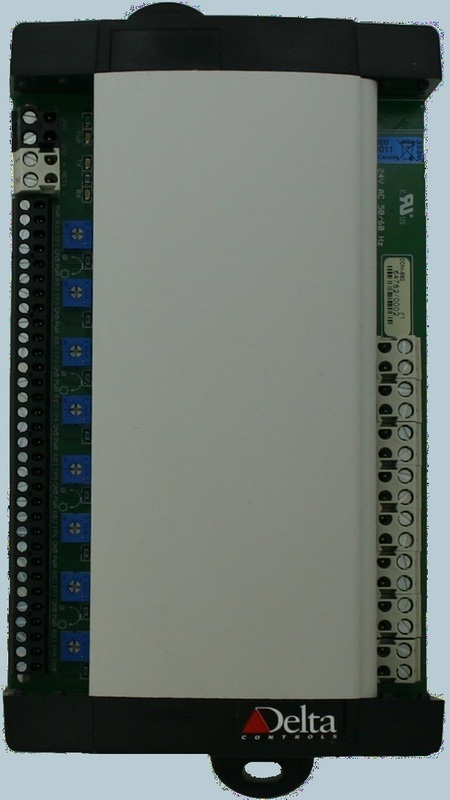 They have I/O on-board, can support a BACnet MS/TP subnet and are fully programmable. Lighting Controllers (DLC) -are fully programmable native BACnet devices. Schedules can be created and modified directly in the controller and sequences can be customized using our simple and flexible programming tool. Lighting zones controlled by Occupancy sensors ensure that only the occupied zones and appropriate common areas are activated.